Stunning "Colorado style residence with impressive timber construction with log and stone accents. 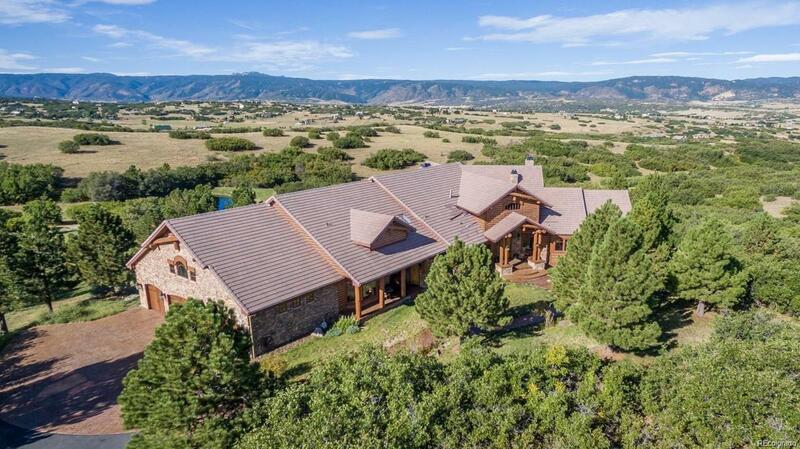 Magnificent panoramic mountain views from this secluded 16 acre site that includes a private pond with pergola. Additional features of this home are the large windows that capture the sunlight and views throughout the home, a majestic library with custom built-ins and millwork, great hall with vaulted ceilings and fireplace overlooking the main level deck and pond, sunroom with fireplace, gourmet kitchen with top-of-theline appliances and finishes, amazing main level wrap around deck, large dining area, lower level family/media room with fireplace, wet bar, wine cellar, billiards/game area, three additional bedrooms all with en-suite baths, exercise room and oversized 4 car garage. Area Shopping , restaurants and other conveniences are nearby. Association Name Primary Bear Canyon Ranch Association Inc.